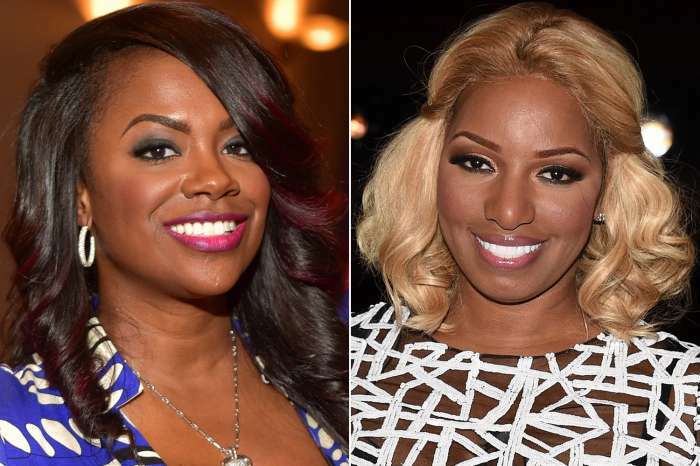 Kandi Burruss created quite a stir by announcing that she is quitting the 90s R&B group Xscape, now her bandmate, Tamika Scott, has decided to address the matter. 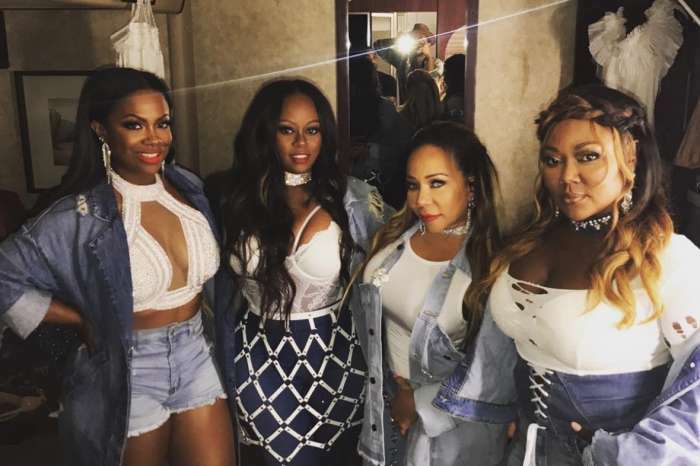 The group composed of LaTocha and Tamika Scott, Burruss and Tameka “Tiny” Cottle recently appeared on Watch What Happens Live where things got awkward. When Andy Cohen asked the Real Housewives of Atlanta star if she had plans to record new music with the other ladies, she dropped a bombshell. According to Tamika, the ladies are going through a difficult time and will continue with the tour as planned. Feeling beyond blessed to finally meet and work with @karenclarksheard! We @iamlatocha @kandi @majorgirl @officialtamikascott, grew up listening to, The Clark Sister's, trying to sing and be like them. To be able to perform on the same stage with Mrs Karen Clark Sheard was surreal! Thanking God for this Blessed experience and opportunity of a LIFETIME! #ismylivinginvain #no #ofcourse #not #xscape #tamikascott #blessed? She did not say if they have been able to convince Burruss to rethink her decision. A source confirmed that the four ladies are grown, independent, and are often butting heads over the tour, music, and their reality series. Do you think the ladies will stop fighting for the sake of the fans? Kandi is being the Total Diva. She has been Successful, therefore She looks on Camera as if She Doesnt Have To Budge an Inch when it comes to Complying with the other Women. Past history woes should be dealt with..and moved on from. Just bcuz Kandi got Loot doesnt mean she shouldnt be willing to help these 3 Talented, Still Sangin They Throats Off Women to contain their Coins as Well. They, well not Tiny, the sisters have been no where a long time..its like Stop Being So Selfish and Whack Kandi…You Got Money..like Tiny said You Rich!!! Go and Sang these Girls Out Here with their Auto Tune back to School to Inherit the Lessons…yall are Blessed too many times over to be acting so Beneath the Blessings yall been given..a regular mother like me would love to have what yall have…i would never act like that with all of what you have…Ego Check Yaselves…. Wrap it up. It didn’t work then and it ain’t working now!